Richard Goodwin was a pioneer in the use of mathematical tools to understand the dynamics of capitalist economies. 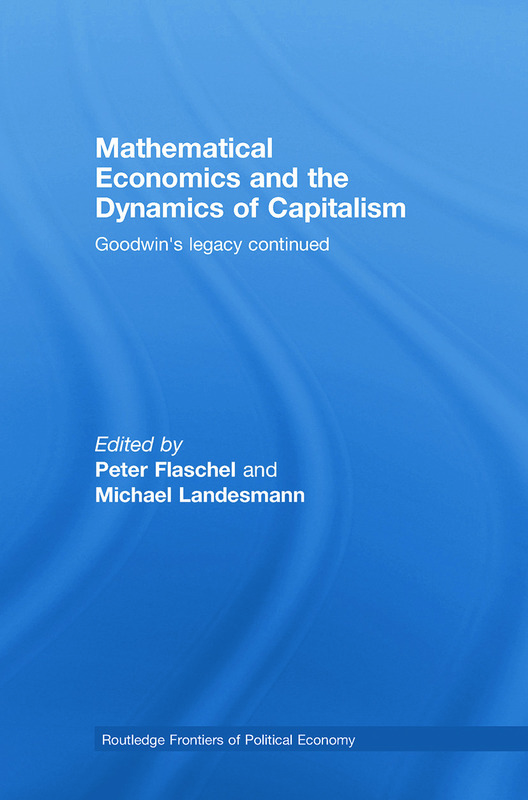 This book contains contributions which focus on the rigorous extension of Goodwin’s modelling of macro-dynamics and the micro-structures underlying them, and also research with a wider perspective related to Goodwin’s vision of an integrated Marx-Keynes-Schumpeter (M-K-S) system of the dynamics of capitalist economies. thorough theoretical analysis of delayed dynamical systems. empirical studies of Goodwin’s classical growth cycle model and the integration of Keynesian aspects of effective demand and of financial mechanisms that impact the real macro-economy.